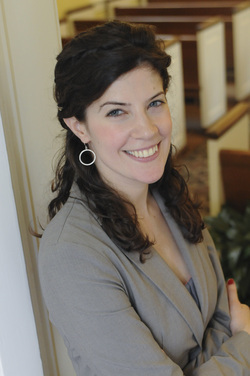 Galit Sperling has been the Educational Director at Pleasantville Community Synagogue since 2012. An educator in Pleasantville for over 10 years, Galit has tutored B'nei Mitzvah students at both PCS and CSI in Briarcliff. Galit graduated with honors from New York University, where she studied Theater and Hebrew and Judaic Studies. In addition, Galit has been a student at Hebrew College and the Davidson School of Education at the Jewish Theological Seminary. She is passionate about Judaism and education, and she is proud to have been one of the very first Torah readers at PCS' opening almost 20 years ago! With PCS, Galit is a part of the Coalition of Innovating Congregations through the Jewish Education Project, as well as the Westchester Association for Temple Educators. Galit also currently serves as the Director of Education at Arc Stages, where she teaches classes, directs productions, and runs a successful theater camp for children aged 5-18.